Welcome to the Bayshore Christian School Winter Sports page. Please select from a sport below for schedules, rosters, pictures, and important information. Broderick Day is entering his ninth year as the head basketball coach for Bayshore Christian School. Under his tutelage, Bayshore basketball has made remarkable strides. Broderick is a big believer in planning your work and working your plan. He lives by his core values of commitment, dedication, and teamwork. Being a true leader, he takes pride in developing students in the classroom and on the basketball court. Broderick attained his bachelor's degree in behavioral sciences from National Louis University and his master's degree in secondary education from Grand Canyon University. 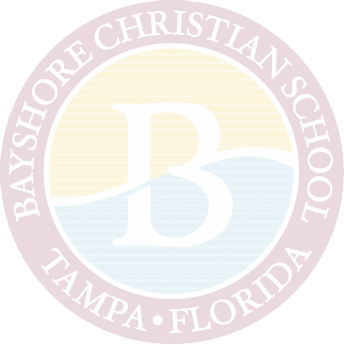 We built the basketball program at Bayshore Christian School on the vision that our coaches and players will be Christ-Centered. The purpose statement of our basketball program is “We are Bayshore.” This means we will represent our school in a prideful and dignified manner at all times. Our core values of commitment, dedication, and teamwork will lead us to achieve the goals we have set for ourselves. BCS basketball is on the rise. Commitment - What if this team had my attitude, how well would we be? If you are five minutes early, you are ten minutes late. Dedication - Always striving to attain our goals. Teamwork - Focus on “we” with the help from me. Believe - Unquestioned trust in coaches and each other. Quality - Christ first, student second, and athlete third. Coach Denny is entering her eighth year as the girls basketball coach and is currently the physical education teacher at Bayshore Christian School. Under her leadership, the team experienced its first undefeated season in decades. Coach Denny is a 2006 graduate of the University of South Florida, where she majored in physical education with a concentration in exercise science. She enjoys teaching sports (especially basketball) because of the life lessons that we learn and apply while playing the game. Coach Denny is committed to her player’s success on and off the court. She looks forward to the challenge of leading the BCS girls basketball team to contending for a district title and eventually successful runs in the state playoffs. Provide competitive level athletics opportunities for program participants. Utilize the athletics arena to put participants in a position of leadership while fostering high academic expectations. Be a great example of a Christian. Acknowledge that playing on this team is an honor and a privilege, not a right. Every player expected to attend every scheduled practice, scrimmage, game, and all other team related activities. 110% effort every day during practices and games. Respect all coaches, teachers, peers, and especially teammates. Be dressed, on time, and ready for every scheduled practice, game, and team activity. Be supportive and encourage every teammate. Nobody quits, no matter what! Players play, coaches coach, parents cheer!